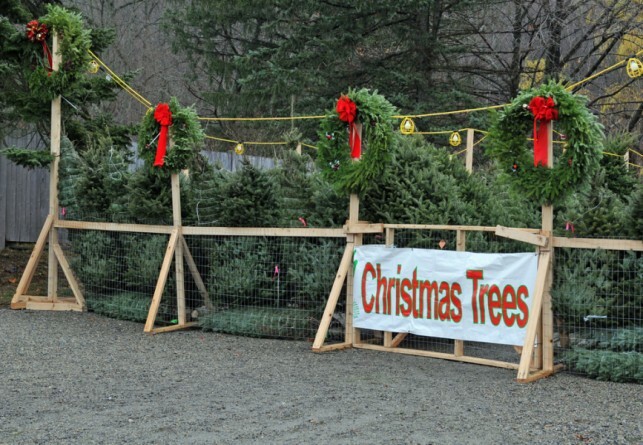 It seems like overnight Christmas tree stands went up across the Tri-State area. CBS2’s Steve Langford caught up with Tom Gilmartin, a vendor in Chelsea who has been selling Christmas trees at the corner of 22nd Street and Ninth Avenue for close to two decades. Gilmartin and his family come to New York from Alaska every November and live in their customized Christmas camper. They’re used to roughing it in Alaska, and swear they love coming to New York, where they’re now part of the holiday tradition in the neighborhood. “We got three different Thanksgiving dinners brought down to us in a bag from the neighborhood,” Gilmartin said. But there are of course two sides to New York. “I’ve been beaten up in the middle of this street by three guys one year. They were stealing trees,” Gilmartin said. Gilmartin, who said his regular job is as a commercial fisherman in Alaska, now has four weeks to go to sell about 1,000 trees.